The 403(b) plans are tax-sheltered annuities. 3. How Much Money Do I Need to Start a Retirement Account? The 403(b) retirement plan, which is defined and regulated under the Internal Revenue Service tax code, is a tax-sheltered annuity plan. The IRS regulates contributions, distributions and the type of investments allowed for 403(b) retirement plans. Similar to the more familiar 401(k) retirement plans used by for-profit employers, the 403(b) plans are intended for employees of non-profit employers. While 403(b) account holders have many of the advantages common to other tax-advantaged retirement plans, such as loans and in-service withdrawals, the 403(b) offers fewer investment options. Participation in 403(b) plans is limited to church ministers and certain employees of public school systems, colleges, universities and tax-exempt organizations. Only employers can establish 403(b) accounts. The IRS rules usually allow only employers to contribute to employees’ 403(b) plans. However, some plans allow employees to make contributions to the accounts. The types of contributions allowed to 403(b) accounts are non-elective contributions made by employers, employee contributions that are pre-tax elective salary deferrals, employee after-tax contributions or a combination of the types. The pre-tax income contributed to 403(b) plans is not taxed until it distributed from the account. The IRS rules allow employers to establish only a few types of 403(b) accounts for employees. The employer may work with an insurance company to provide annuity contracts or the employer may choose to offer custodial accounts. Another type of 403(b) is the retirement income account established by a church for its employees. The investment options for 403(b) accounts are limited to mutual funds and fixed or variable annuities. According to the IRS, custodial accounts are invested in mutual funds and retirement income accounts may be invested in mutual funds or annuities. Annuities are contracts between the account holder and an insurance company. Indexed annuities base investment returns on a stock index, such as the S&P 500 Composite Stock Price Index, and apply a specified minimum value to the annuity contract. Fixed annuities pay a fixed interest rate on growth. Variable annuities, which are regulated by the U.S. Securities and Exchange Commission, offer investment options that include mutual funds. Annuity contracts require contributions made through a lump sum or regular payments in exchange for future regular payments made to the investor. 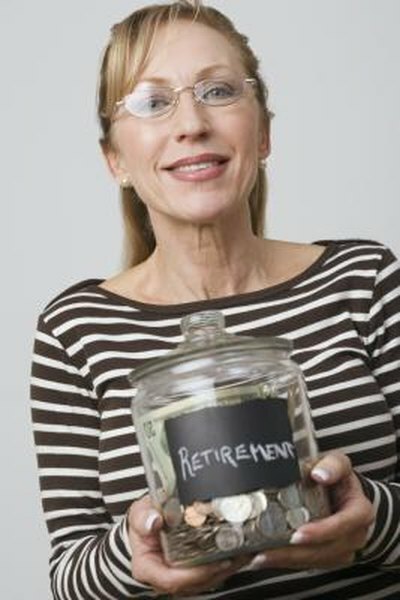 Some annuity contacts offer a death benefit that is paid to a beneficiary. A mutual fund is an investment company that pools and invests the money from many investors. Investments are made in different types of securities, such as bonds, stocks and money-market funds. Mutual fund shares are purchased from a broker or directly from the mutual fund. Investors pay the net asset value of the shares and fees charged by the mutual fund. The investment portfolios of mutual funds are professional managed by SEC-registered investment advisers. Employees whose 403(b) accounts are invested in mutual funds must watch for excess contributions, to which the IRS may apply a 6 percent excise tax. Additionally, 403(b) accounts that invest solely in mutual funds do not provide incidental life insurance to account holders. Employees whose 403(b) accounts are annuity contracts may pay for incidental life insurance, the cost of which is taxable in the contribution year and which will be included on your W-2 form as taxable wages. The cost of the insurance also has tax implications in the distribution year.